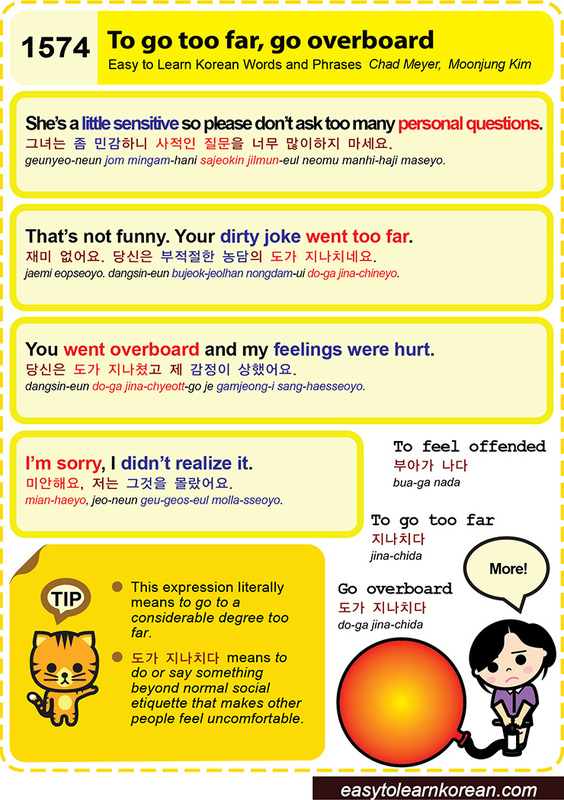 Easy to Learn Korean 1574 – To go too far, go overboard. 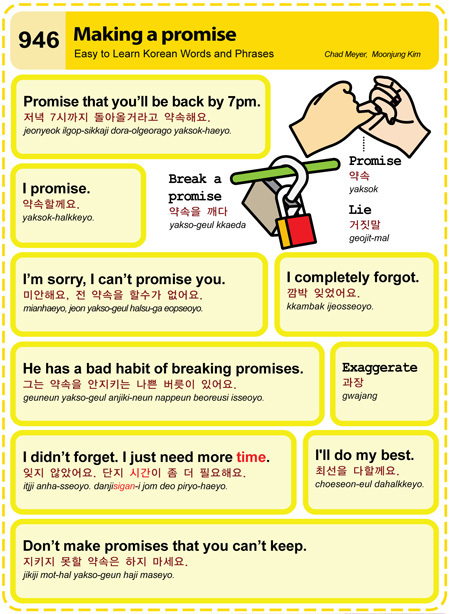 Easy to Learn Korean 946 – Making a promise. Posted in Series	| Tagged break a promise, breaking promises, completely forgot, didn't forget, do my best, Don’t make promises that you can’t keep., exagerate, I promise, I'm sorry, making a promise, need more time, promise me, 거짓말, 과장, 그는 약속을 안지키는 나쁜 버릇이 있어요., 깜박 잊었어요., 미안해요, 약속, 약속을 깨다, 약속할께요., 잊지 않았어요. 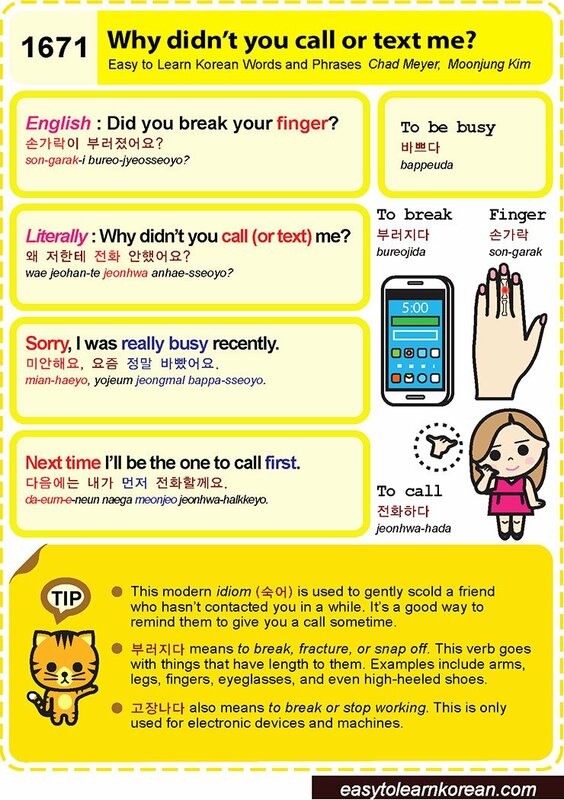 단지 시간이 좀 더 필요해요., 저녁 7시까지 돌아올거라고 약속해요., 전 약속을 할수가 없어요., 지키지 못할 약속은 하지 마세요., 최선을 다할께요.